Three private parking lots are available to the rear of the restaurant as well as on street parking in front of the restaurant. Yardley Train Station is located approximately one half mile away. 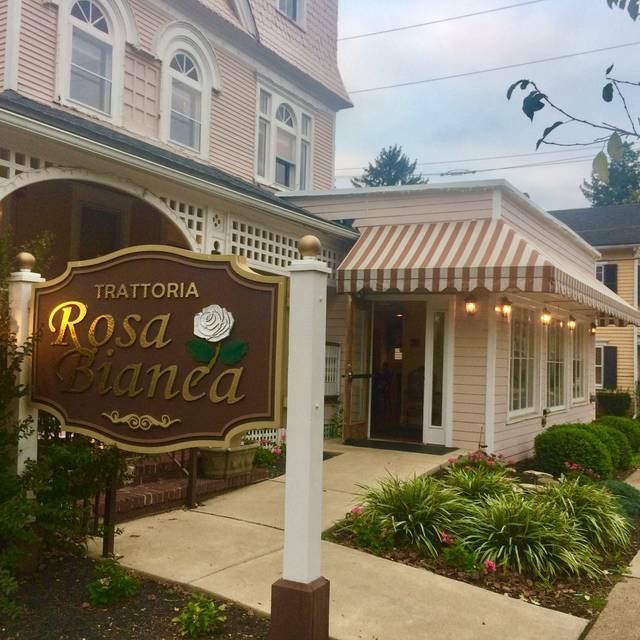 Trattoria Rosa Bianca is a family-owned authentic Italian BYOB located in a charming Victorian home in the heart of Yardley. Our menu showcases delicacies from all over Italy, from Northern regions to Sicily. We offer well-styled favorites such as Nonna’s polpette as well as seasonal choices like our insalata de pera designed by Chef Anthony Boccella. All of our dishes are prepared fresh using the best of local offerings and our kitchen is more than happy to accommodate your dietary needs. Love this restaurant. Food is reliably good, and it is always a good experience. Our second time within a month to have dinner here. We brought several family members this time and they loved the food. Our waiter Dean is great, he's friendly and very efficient. We had a private room because there was 10 of us. The room was lovely, the food excellent we had a wonderful time. Would defiantly recommend your restaurant. Early Saturday night dinner. Food was very good and server was spot on. I would recommend. Great choice for local BYOB dining. Very good Arancini. Bread service is excellent. The food and service was exceptional. Our overall experience was great. Enjoyed our evening. The food was delicious and our waitress Mikaela (spelling??) was excellent. Very professional, very helpful in describing each dish we asked about and very pleasant. Would definitely go back again. The food was excellent, service was great.... even better was that it was BYOB and very reasonable. I forgot how good the place is! We had a great time! Always great food! We will be back. 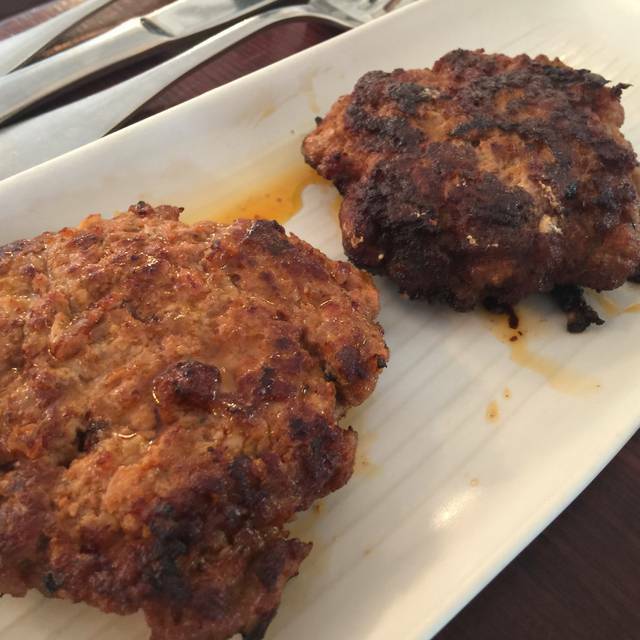 Excellent, very well prepared food and very attentive service. We have had the pleasure of dining here before and will do so many more times in the future. Great food and wonderful service. We loved it and will definitely be back! Good pastas, great bread service. Excellent local Italian-American BYOB. food was mediocre at best. nice atmosphere byob. friend and I had chicken dish the other pork lots of fat. Great people, great place, great food. We went for a casual business dinner and loved the food, the service and the overall atmosphere. A local treasure. We'll be back. There are a few things I want to point out. This was our first time there, I made reservations for 8 pm. Our server was very nice however it seemed like she was the only server working the main floor. It was busy, she was also very busy. We had to wait for long periods while she made her rounds. Again, she was very nice and this may have just been 1 of those days that a server may have called out. The food was delicious. They have a different take on original dishes which was nice. They make their own desserts (we had the cheesecake) and it was very good. Their food is priced well. My only REAL gripe was that where we sat, the lighting was VERY dim to none. The candle on the table was not enough. Besides that, our experience there was very good and we will be returning again. Very good dinner. The antipasta appetizer was one of the best I've tasted. It's nice that a salad is offered with each meal. Ingredients were fresh and had a nice light dressing. Only recommending to try it because maybe I got an off night. Just went for the second time since we had a fairly good experience the first time we dined a couple months ago. Sorry to say I and my group were a tad disappointed. The food was very good though I noticed a few of the pasta dishes (dinner size) ordered were not that large for the price. I was close to questioning whether they gave me a half portion by mistake. However the big disappointment was the service....our party of 6 sat at 7:10 PM, waters and menus were out promptly minus two waters, told the specials at 7:25, order taken at 7:40, appetizers served 8:00, salads served 8:25, told at 8:35 that entrees will be right out, entrees came out at 8:45, had no desert, and got the check at 9:20. Told everything is cooked to order. Huh? I don't know of any the restaurants I frequent that don't cook your food to order. I usually like not to be rushed for dinner, but this was a tad to long. The restaurant was crowded. I just think the kitchen can't handle a full up restaurant. Also, the room to the left, which is a little tight for two groups of six, a table for four and two couples tables, was extremely loud. Server was just ok, only downsized of the night. 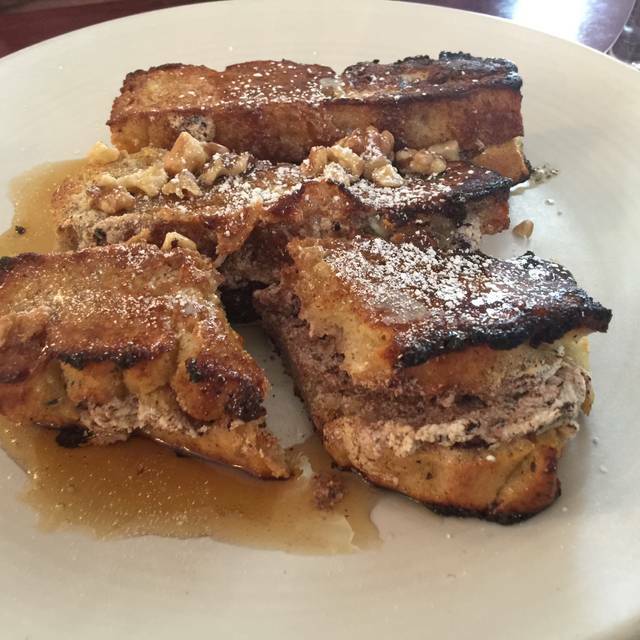 Food is delicious, always fresh and good portions but was disappointed in the service. Server seemed annoyed therefore wasn’t warm and friendly like most servers there but could have been a bad night for her. Would definitely recommend, food is great! Unfortunately we did not have the greatest experience here after hearing some good things and reading good reviews. Firstly, we were seated next to a very drafty window on a cold night. The dishes were generally very bland with the caprese salad mozzarella being pretty hard for an advertised home made mozzarella. Also, the main dishes we ordered (lasagna and pollo milanese) were average at best. This was my second time and it was just as good as the first. The calamari, salad, pasta special and dessert were all absolutely perfect. I live in NYC so I tend to be critical but the food was every bit as good as my favorite city restaurants, if not better. I will definitely be back soon. Highly recommend!! Food was incredibly fresh! Server really knew the menu and made great suggestions. Upset we didn’t try this place sooner. It is def a new staple. Very romantic place and the food taste really good. Love the ambiance. Food was delicious, calamari was light and fresh. I always like byob options at restaurants. 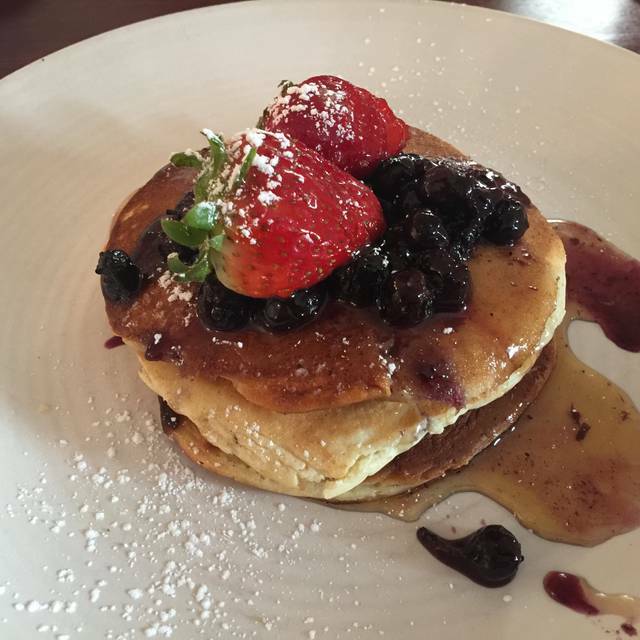 We like going to Trattoria Bianca because of the good food, pleasant setting, and convenient location to our home. We regularly invite others to join us there and they all love it and request a return get together there. We celebrated Valentine’s Day here. Everything was exceptional. Special kudos to Reggie. He made our experience enjoyable. Very enjoyable meal - good service and pleasant surroundings., reasonable price. After having gone there a couple of weeks ago and having a nice meal, last night changed my opinion of this restaurant. Overlooking the noise level, they had one waitress handling the main dining level. She did her best with 10 tables. 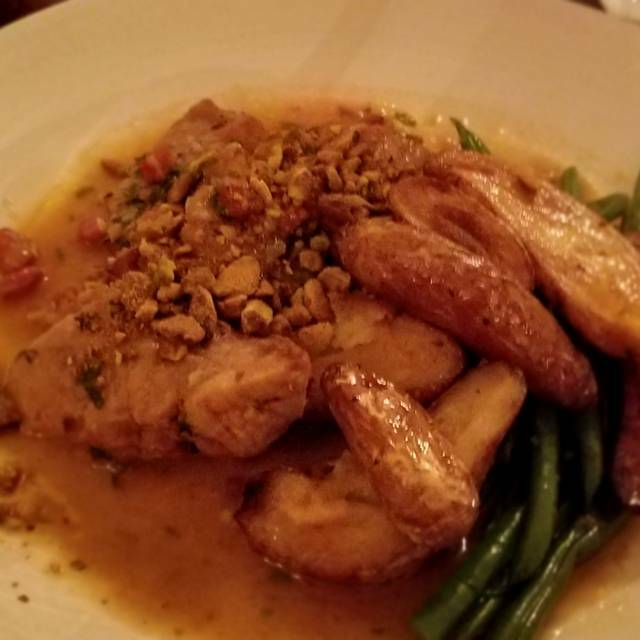 Since when does pork medallions come as chunks of pork, this was a special dish and I had to request a steak knife to cut them. I will never go there again. A disappointment, for sure. Fantastic place overall. Even though it is not on the menu, ask for the chicken parm - you will not be disappointed! Dined on hubby’s b-day. Felt service was too rushed. Food was good. Old home atmosphere could use a redo lift. Sweet ending with dessert served with candle and b-day song. Our first visit but definitely not our last. Found the restaurant on Open Table and decided to try it. Very good choice!!!! 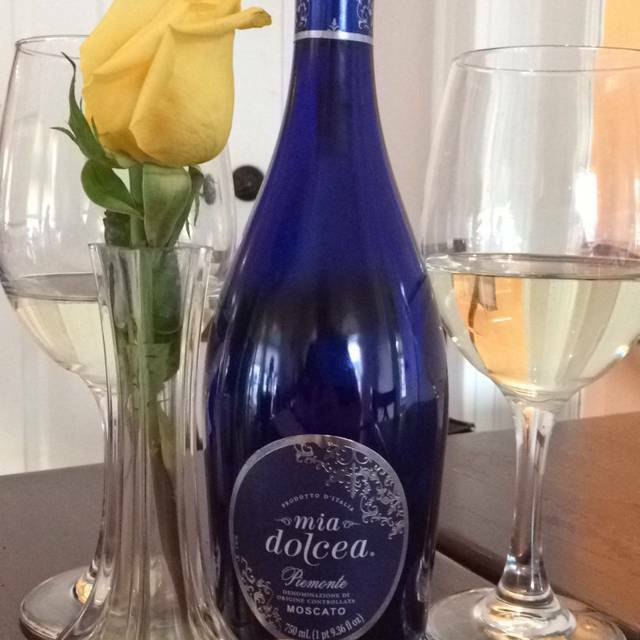 Our party of 4 enjoyed or first experience at Trattoria Rosa Bianca. 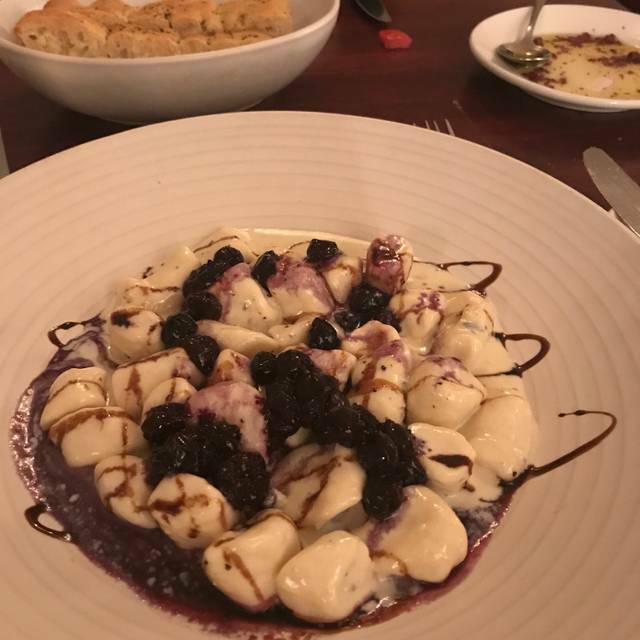 Our server gave us a nice overview of the menu and let us know that they could accommodate any food allergies or preferences - gluten-free or whole wheat pasta, options for vegetarians and vegans. We shared the mozzarella, provolone and octopus appetizers. All were excellent! Everyone enjoyed their entrees, including the salmon, chicken Milanese, osso bucco and gluten-free pasta bolognese. 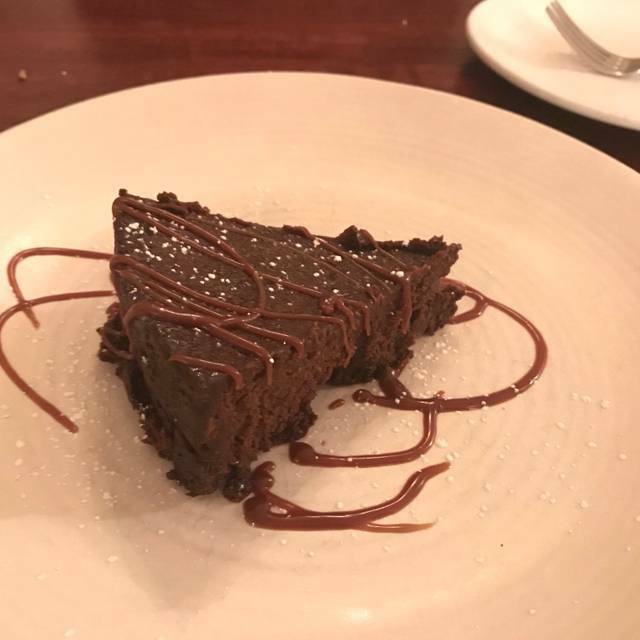 As if that wasn’t enough, we even had dessert, which was definitely worth it - the flourless chocolate torte and carrot cake were amazing. The only minor negatives - the room was very full and at certain points loud. And the busboy was too anxious to clear our dishes. Phenomenal BYOB! We’ll be back soon.